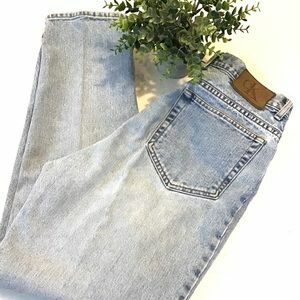 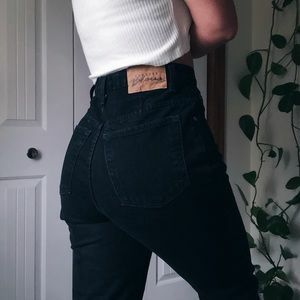 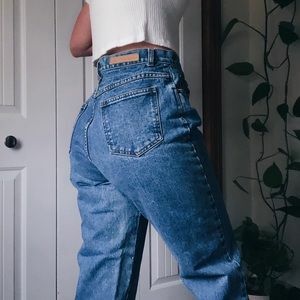 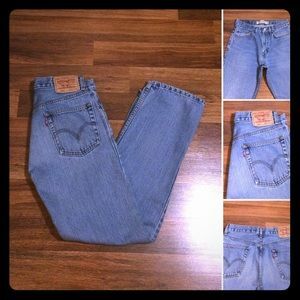 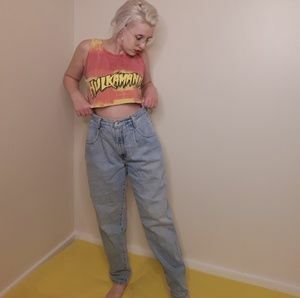 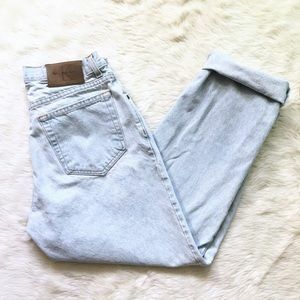 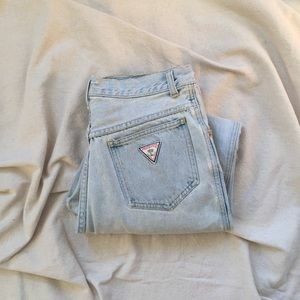 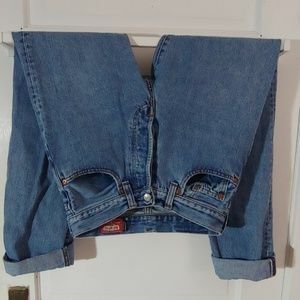 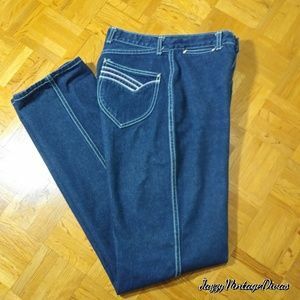 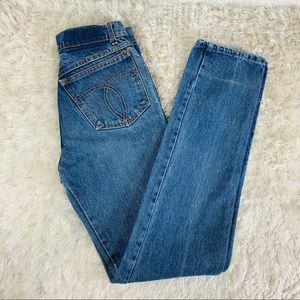 Dark wash denim high waisted jeans. 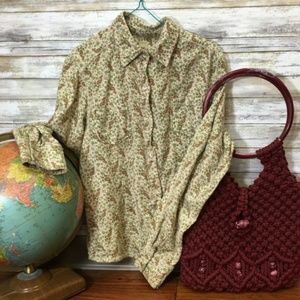 Vintage. 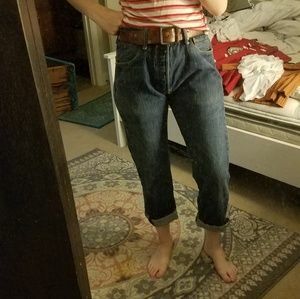 Sanforized. 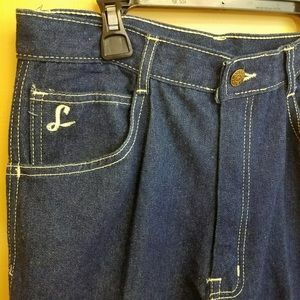 Awesome stitching on the back pockets. 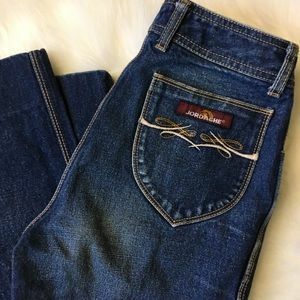 Five pocket design. 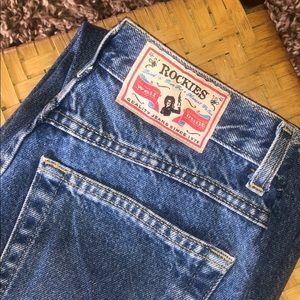 Made in Taiwan ROC. 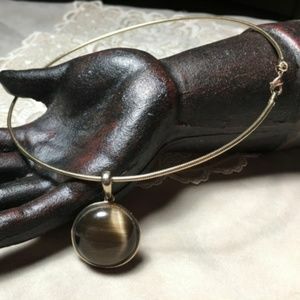 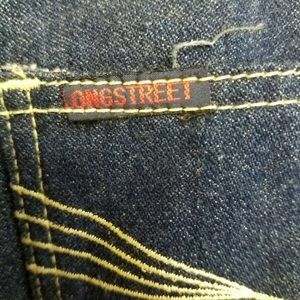 Brand: Longstreet Size: Vintage size 16, approximately a size 8. 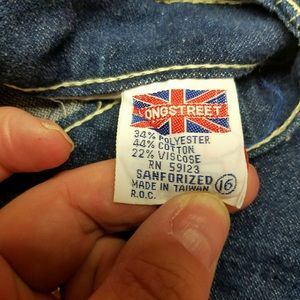 Please see measurements for accurate fit. 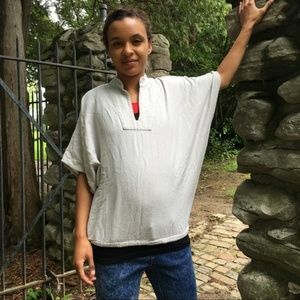 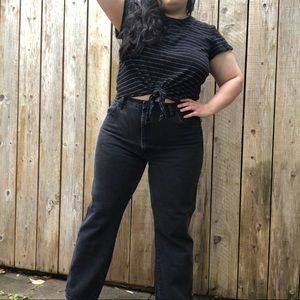 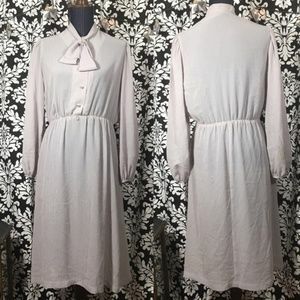 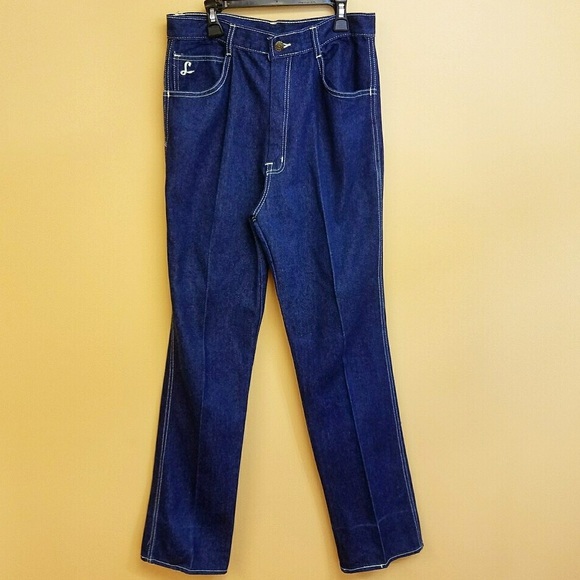 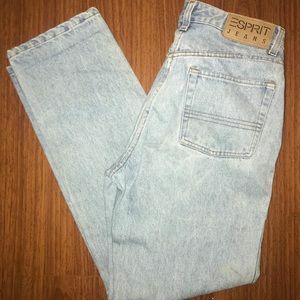 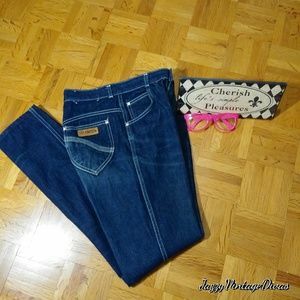 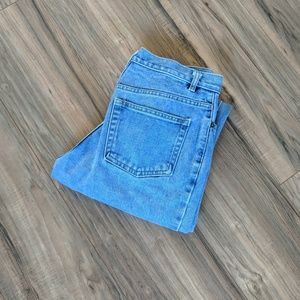 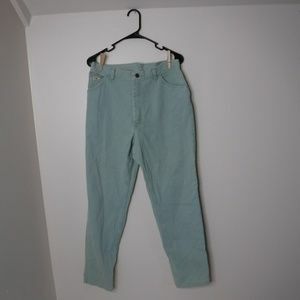 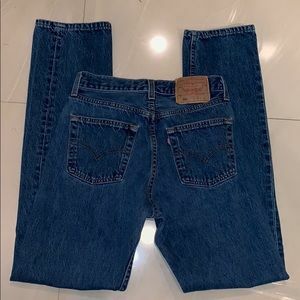 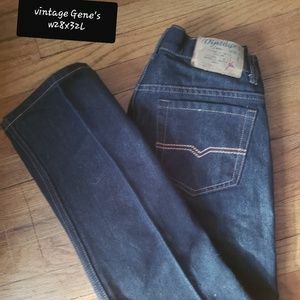 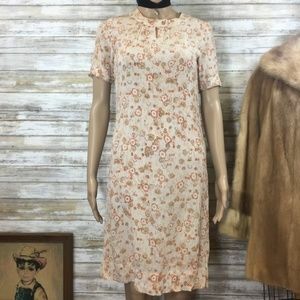 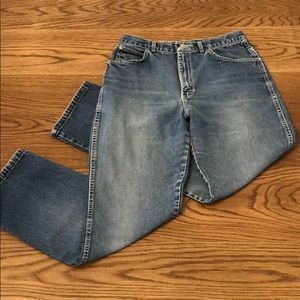 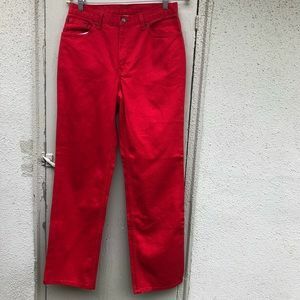 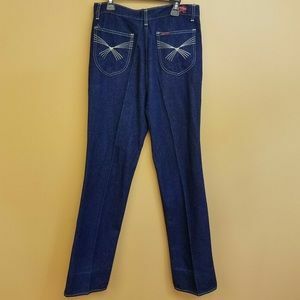 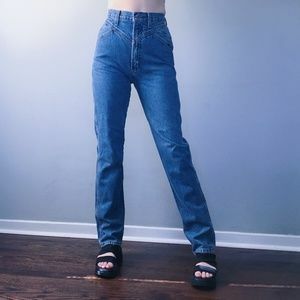 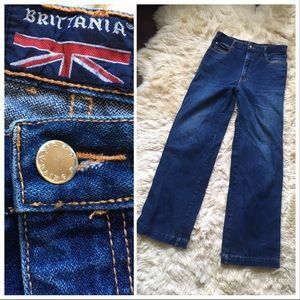 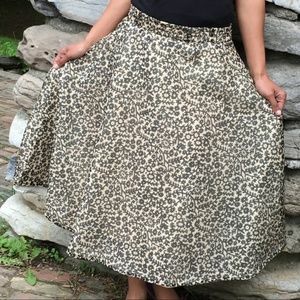 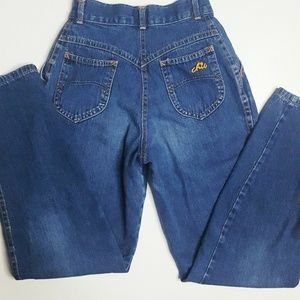 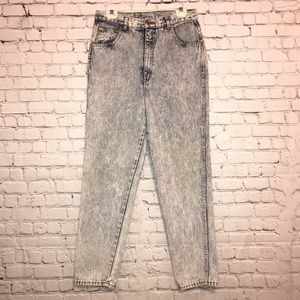 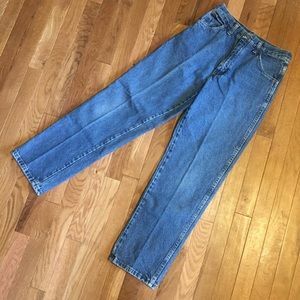 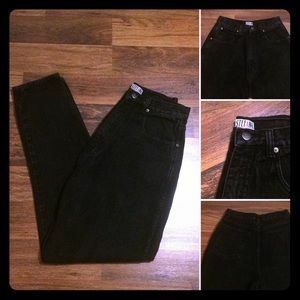 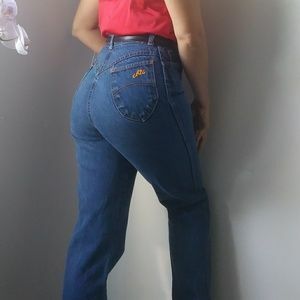 Material: 34% polyester / 44% cotton / 22% viscose Measurements (flat): Waist: 15” Length: 45.5” Hips: 20” Inseam: 32.5” Leg taper: 8” Rise: 13” Excellent vintage condition.